Thanks to Deb at Readerbuzz for hosting The Sunday Salon. Stop over there or at the Facebook Group to participate. Saturday was David’s birthday. We went to lunch at Red Lobster and went to a magic show in Pittsburgh at Liberty Magic. I think I might make a full post about the show. It was fun and just a really unique place. I listened to The Wolf and the Watchman by Niklas Natt och Dag and loved it, loved it, loved it. It’s way grittier than most things I read and some of the descriptions were downright gruesome, but the story is so gripping and the atmosphere so real. Amazing book! 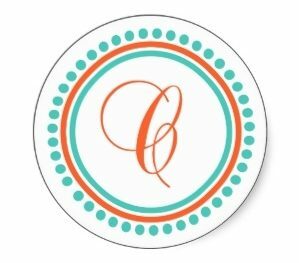 I was on a mystery kick with my reviews this week. And I’m in the middle of two mysteries now. Maybe my next read should be from a different genre. No new board games this week. We did pull out Azul which we haven’t played in a while. It’s fun and easy to learn. More importantly, it’s pretty and the components are great quality. I have a giveaway still open! I would love it if you would enter at https://www.woodwatches.com/g/carolsnotebook. 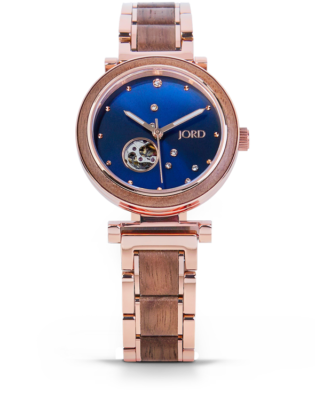 You could win $100 towards a watch of your choice from Jord watches. Easter’s next week. It will be pretty quiet though. Amber’s not going to be home and my brother and his kids aren’t coming up. Edited: Apparently my brother and his family are coming. It will be nice to see them. David’s oldest brother and his family will be in town for a few days too, so we’ll probably stop over at my in-laws’ to visit with them too. Those game pieces are beautiful. I would have entered your giveaway but I don’t wear a watch! I like being uninformed about time! They almost look like candy to me. I hope you will post about the magic show. I’ve never been to one, and it isn’t likely I will ever go. Your post may be the closest I will ever get to going to a magic show. I definitely like to shake things up, genre-wise. I usually have a couple of different sorts of books going. Yesterday, though, I finished all my books, and I was book-less. Now that’s an odd feeling for me. It was the first real magic show I’ve been to. I rarely have that book-less feeling either. Sometimes it’s nice to get all fresh starts though. Carl and I have gone to magic shows twice and thoroughly enjoyed both of them. It’s always kind of sad when your kids don’t come home for holidays. She’s coming home the week after. She was supposed to have a field trip this coming weekend but they moved it to May. We already had our plans though. Glad you’re having family for the holiday. The end of tax season means my mother and brother actually have a little free time. I’d definitely like to hear more about Liberty Magic. I just saw my first in-person magic this year and really enjoyed it. This was really fun. I hadn’t quite known what to expect, especially since the venue’s been open for less than three months. Glad your family will be coming for Easter after all. It will be a quiet holiday for us with just my FIL this year. The magic show sounds like fun! I have to go over to my mom’s this evening to help move stuff around so the kids all have places to sleep. I like to mix the genres too but sometimes get stuck in one for a long time. I feel like that’s where I am now. On the other hand, as long as I’m enjoying them, does it matter?